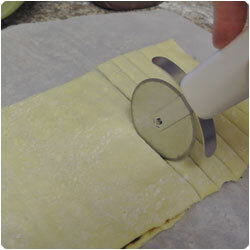 Preheat the oven at 200°C (400F). 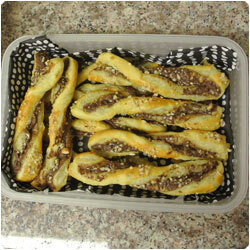 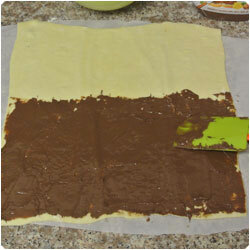 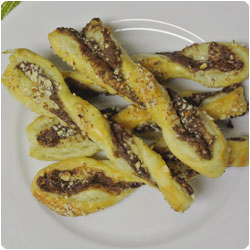 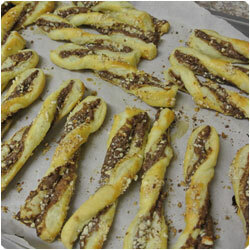 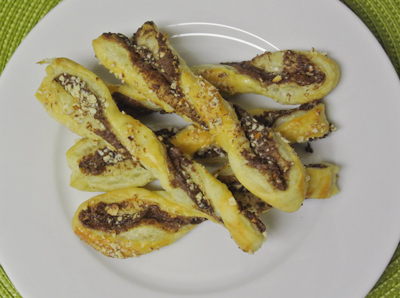 Spread the nutella in half of the puff pastry sheet. 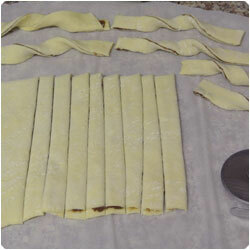 Spread it carefully on the borders too. 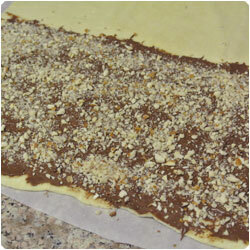 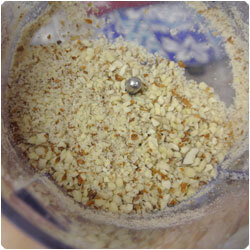 Spread the 2/3 of the almonds on top. 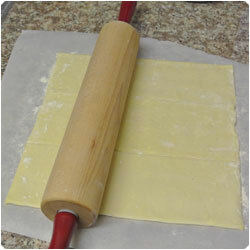 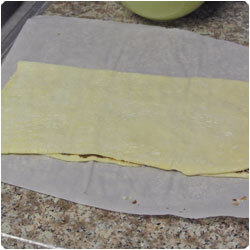 Fold the puff pastry sheet in half and with a pizza roll cut it in stripes about 1cm. 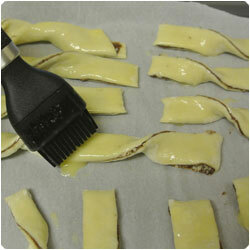 Twist the stripes and place them with baking paper over a oven tray. 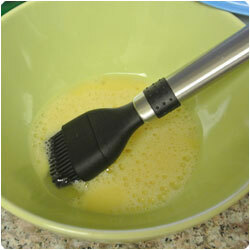 Beat one egg and brush the twists. 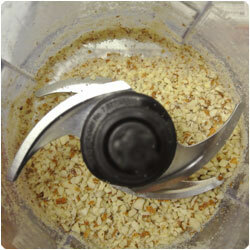 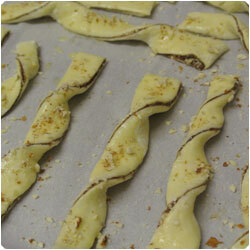 Spread the 1/3 almonds on top of the twists. 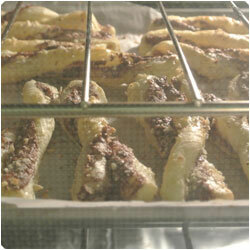 Bake in the oven at 200°C (400F) for 10 to 15 minutes, untill they are lightly brown on top. 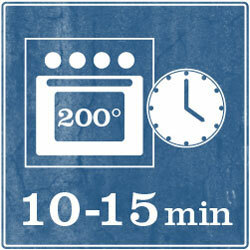 The cooking time really depends on your oven, since you don't want them too dry, check them after the first 10 minutes. 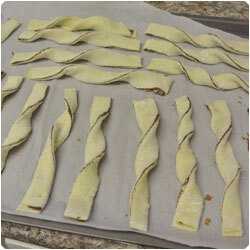 Let the twist cool at room temperature. 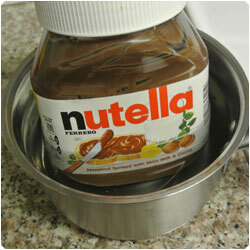 Serve cold (or warm) and store them in a tuppeware.